For anyone wishing to create a completely unique bespoke conservatory, our P-Shaped design is the perfect option. A combination of Lean-To plus any other of our designs, we can help you create unique one off conservatory designs for your home in Cambridgeshire. If you are faced with a slightly unconventional building space, or would like to create a unique and attractive conservatory design – our P-Shaped Conservatory designs are the perfect choice for you. Ideal for larger properties, P-Shaped Conservatories succeed in adding character to larger homes. 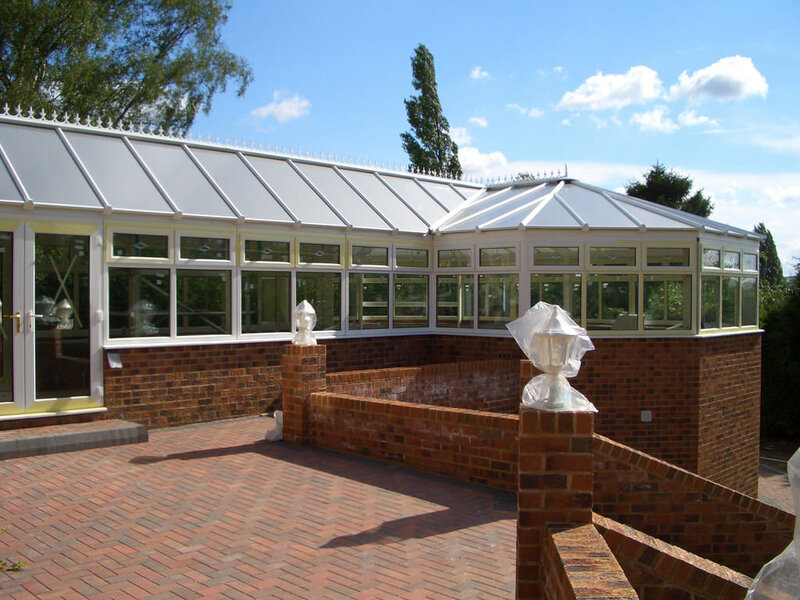 An aesthetically impressive conservatory, boasting unbeatable security and energy efficiency. You have to view the P-Shaped conservatory as an extension to your property. A combination of two separate designs, creating separate living spaces. An extended dining room and outside office perhaps? 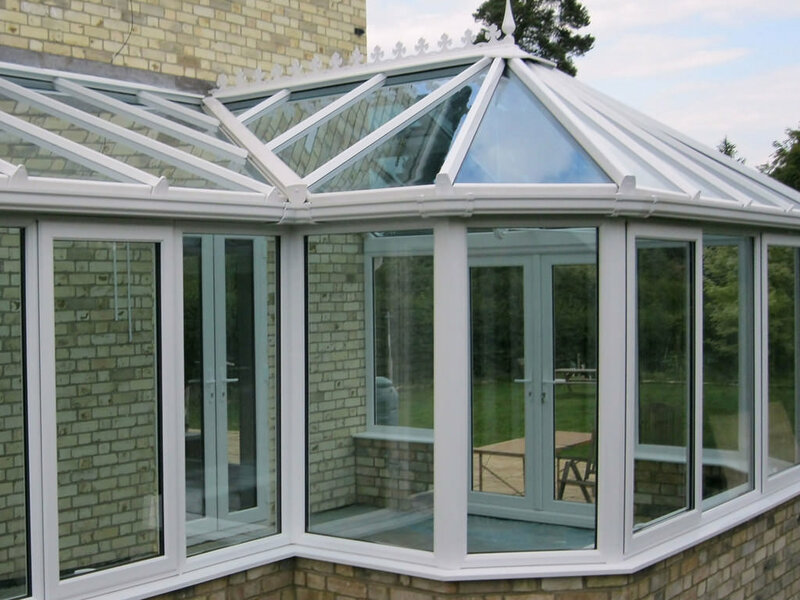 Our P-Shaped conservatories can be used all year round, due to their phenomenal energy efficiency. Much like our entire range of conservatories, our P-Shaped design use the highest quality double glazed windows and compact stainless steel locks. Creating a safe extension to your home, warm enough to enjoy all year round. The double glazed units are constructed using specially designed reinforced glass and a series of size optimised chambers. Both of these energy saving designs are focused on reducing your heating bills. By retaining the heat inside. The double glazed windows are internally beaded to minimise the air ingress, and to enhance your conservatories security. When it comes to security, we only use the highest quality stainless steel locks. These stainless steel locks are strategically placed throughout the P-Shaped conservatory to maximise the security, and keep potential burglars out. Once we have installed your P-Shaped conservatory, we’ll give you a full demonstration to ensure you know how to utilise the security and energy efficiency of your conservatory. Obtaining your free non-obligation quote for P-Shaped Conservatories couldn’t be easier. Simply fill in the short online quote form to receive your unique conservatory quote. Or, if you’d like to find out further information about P-Shaped Conservatories use our online contact form.